Sadly, there are many drivers are on the road without insurance. This is especially true in New Hampshire, which is the only state that does not require a driver to have insurance. So what to do if you are hit by an uninsured motorist? Or what about if you are struck by a driver who leaves the scene altogether and can’t be found? How will you pay for your medical bills and lost wages? This can also apply if you are hit by someone with insurance, but not enough. This is technically known as an underinsured motorist, but the same concepts apply. Ok, this tip is actually cheating because it’s something that you need to do before the accident. It is so incredibly important to have sufficient uninsured motorist coverage. This is coverage under your own insurance policy that protects you if you are struck by an uninsured motorist. This coverage effectively takes the place of the coverage the other driver should have had. Instead of making a claim against the other driver, however, you make a claim against your own insurance company. If you don’t have this kind of coverage, call your insurance agent and get it right away. Sometimes people don’t have their own auto insurance policy and don’t realize they might be covered by another person’s policy. For example, many auto insurance policies cover all household members. If you live with someone else who has coverage, you might be able to get uninsured motorist coverage through their policy. Maybe the other driver drank too much, drove recklessly, or didn’t have a license. If they get arrested, then you can pursue a restitution claim through their criminal case. This might be challenging if the other driver has to go to jail or is penniless. But a big advantage for criminal restitution is that the court will do a lot of the work in helping to collect. And the court has much more power to put someone in jail if they don’t pay, which usually gets their attention. In New Hampshire, if a driver does not have enough insurance coverage to pay for an accident, DMV can suspend their license until they pay in full. This can give a strong incentive for the other driver to pay. Most people need their license and will do anything they can to get it back. A direct lawsuit against the other driver is often a last resort. Most individuals without insurance have little to no assets. It often won’t be worth the time and energy to sue them. You may find it impossible to find a lawyer who will take this kind of case. If the other driver doesn’t seem to have money, then most lawyers will feel it is unlikely they will ever get paid. And you don’t want to throw good money after bad by paying a lawyer to chase a deadbeat that you will never collect from. On the other hand, if the other driver has assets and a good job, a lawsuit should be strongly considered. The last thing you can look at is whether there is anyone else you can sue. For example, if a restaurant over-served the other driver with alcohol you might be able to bring a “dram shop” case. Perhaps there was something wrong with the way the street signs were laid out and the city is responsible. A good lawyer can explore all angles to determine if there is any other possible defendant who may have insurance or money to pay a judgment. Sadly, despite your best efforts, in many cases there won’t be anything you can do. But it is absolutely worth calling a qualified personal injury to investigate all angles of your case. 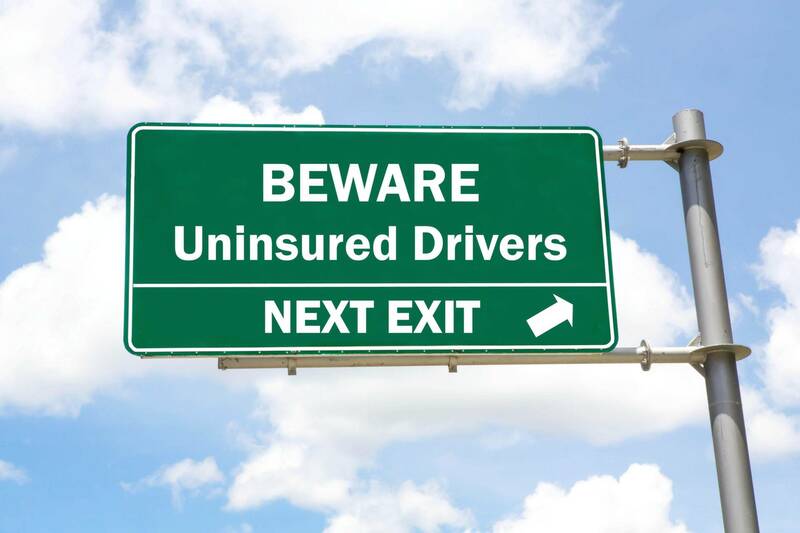 Cohen & Winters has helped many drivers hit by an uninsured motorist. If you are encountering an issue with a driver who does not have enough insurance, contact us to schedule a free discussion.